I find that whenever I’m in doubt or steeped in worry, it’s best to turn to the dependable folks who know exactly what to say when the going gets unbearably tough. One of those people is Oprah Winfrey, whose recent comments about the Las Vegas shooting are the gentle balm we may all need during what’s proven to be an incredibly heartbreaking week. 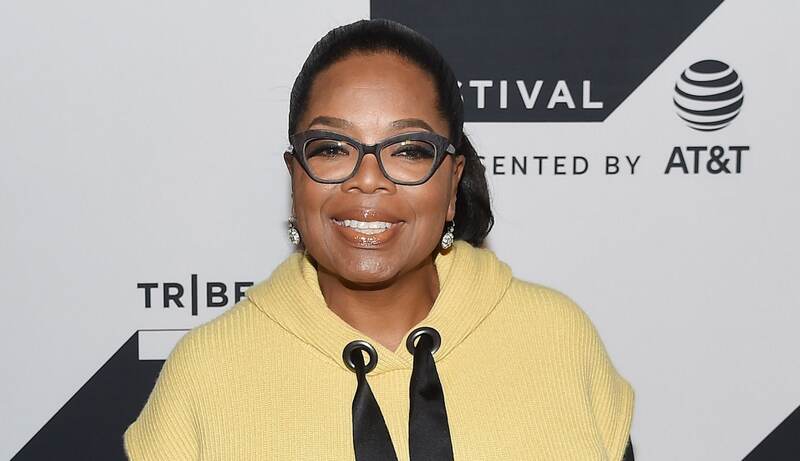 In a series of tweets and during her appearance on The Ellen DeGeneres Show earlier this week, Winfrey made it clear that her heart is with those who are hurting, and if anything, she wants to provide some comfort to those who need it most. I’d argue that you don’t have to identify as a Christian or even be religiously inclined to find Winfrey’s recent Twitter message of hope a comforting one. In the first of two tweets, she wrote, “Went to bed #prayingforlasvegas , my heart overwhelmed. Woke up reminded of this Bible verse. Psalms 61:2.” Winfrey was, of course, referencing a Bible verse meant to provide comfort during this time; she then tweeted that verse out right after the first tweet. “Psalms 61:2… when my heart is overwhelmed, lead me to the rock that is higher than I. #prayingforlasvegas,” she concluded. Then, while speaking with Ellen DeGeneres on The Ellen DeGeneres Show, Winfrey expounded, “I feel the soul of the nation. I feel the ache that we all feel.” She continued, “As the names are coming out and you get to see who they are by name, I speak their names out loud in thoughtful prayer. And I think this is a time for all of us to first of all appreciate the ordinary.” In saying this, she made it clear that she wants to send positivity back into a world that is truly in need of it. Once again, Winfrey has been a role model to us all for how to handle and respond these difficult moments. Hopefully, her words achieve their purpose and do give those of us who need it some comfort.